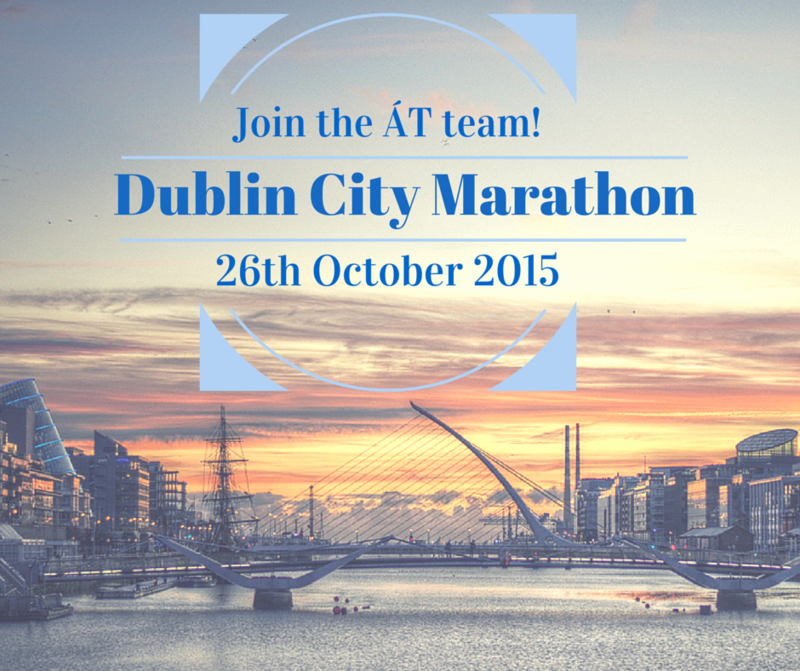 Join our team for the Dublin City Marathon today! Here at Áiseanna Tacaíochta (ÁT), our team of runners is gearing up for the SSE Airtricity Dublin City Marathon, taking place on Monday, 26th October later this year. If you’d like to set yourself a great new challenge and raise some essential funds on our behalf, we would love to hear from you! The Dublin City Marathon represents a hugely important opportunity: this year, we need to raise over €100,000 so that we can continue our vital work in supporting people with disabilities to lead independent lives in their own communities. It would mean everything to us to see you joining in to support us. 15,000 runners will take part in the marathon, which begins in Fitzwilliam Street, moving through Phoenix Park, Inchicore, Crumlin, Kimmage, Terenure and Stillorgan, before winding its way back to Merrion Square. We’re building our team of runners, with our first few participants already signed up and in training. And it’s really easy for you to get involved: just get in touch with us to let us know that you’re interested and we’ll be with you every step of the way! To enter, just click here to visit the Dublin City Marathon website, where you can quickly register: entries must be recieved by 5pm on Monday, 1st October 2015.. You can then set up an online sponsorship page through Justgiving or iDonate, and that’s it – you’re ready to get started! We’ll support you with any information or resources that you need, and we’ll be there on the day to cheer on our team. At ÁT, we’re giving power back to people with disabilities in Ireland so that they can live with the independence, choice and dignity that they are entitled to, just like everyone else. The Dublin City Marathon is a brilliant chance to raise awareness and support of all that we do and stand for – will you be part of that journey with us? For more information, please contact Orlaith Grehan by emailing orlaith@theatnetwork.com or by calling 086 183 1502. Click here to learn more about the Dublin City Marathon 2015. Click here for more information on how to set up an online sponsorship page through iDonate.